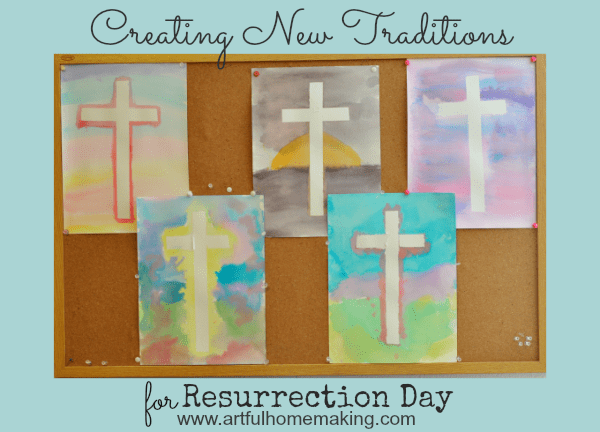 Resurrection Day traditions for making Easter meaningful for your family. Recently, I got together with a group of homeschool moms for an evening of encouragement. Our sweet friend Jennifer opened her home and shared some thoughts and ideas to breathe new life into our homeschool days. It was such a huge blessing! One of the things we discussed was how to celebrate the resurrection of Jesus in a way that is memorable and meaningful for our children. 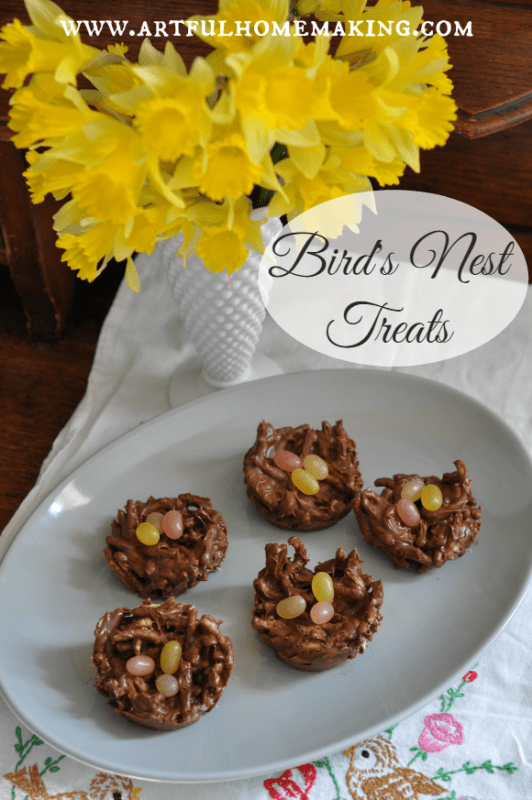 The other moms shared some of their Resurrection Day traditions, and it really inspired me to get going on some of the ideas I’ve had but haven’t implemented yet! 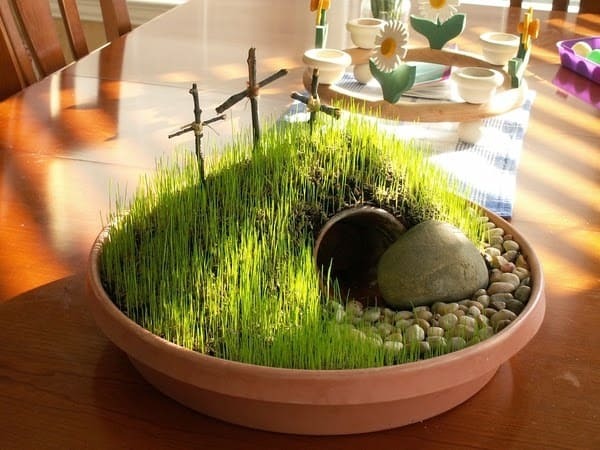 I saw the idea for this resurrection garden years ago (here’s another one, and this one is also really beautiful), and I’m still hoping to make one someday! I’m not sure if I’ll have time this year, but I’m going to really try to remember it for next year. 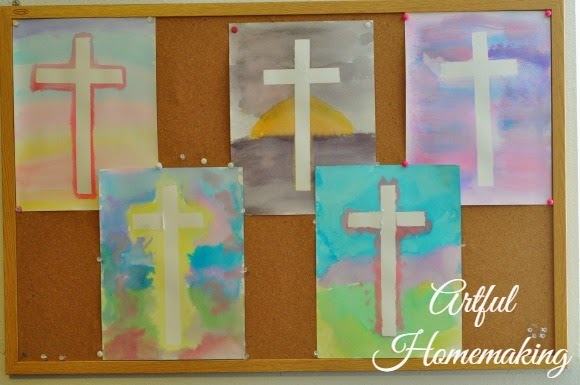 I was looking for a simple, Christ-centered craft to do, and I was so happy with these simple watercolor crosses. It was such a simple art project, and all five of my children (including the older ones) enjoyed making it. We used watercolor paper, and I was impressed with how each one was so unique and creative. For the past few weeks, we’ve been memorizing several verses from the book of Romans, and two of them are on this printable! 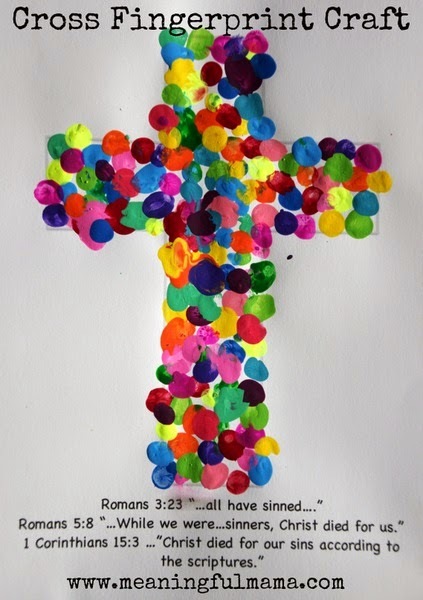 Each person adds their fingerprints to the cross, showing that Christ died for each of us. 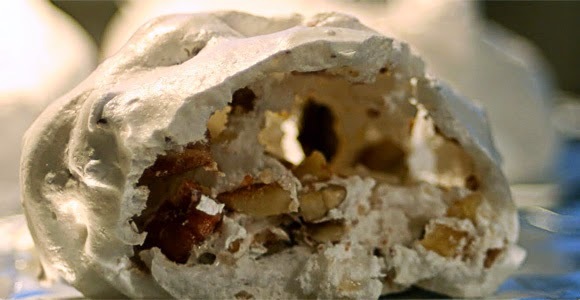 My friend Lisa reminded me of resurrection cookies, which are a fun and memorable way to teach children about the resurrection. I’m really hoping we can make these this year! 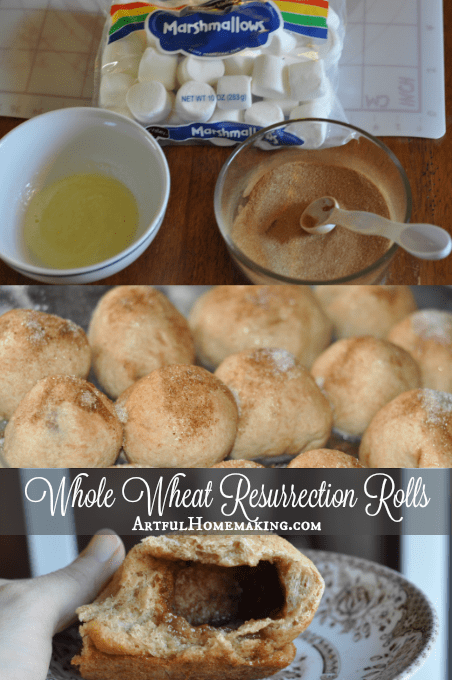 In addition to the cookies, you can also make resurrection rolls, which are another creative way to tell the story. 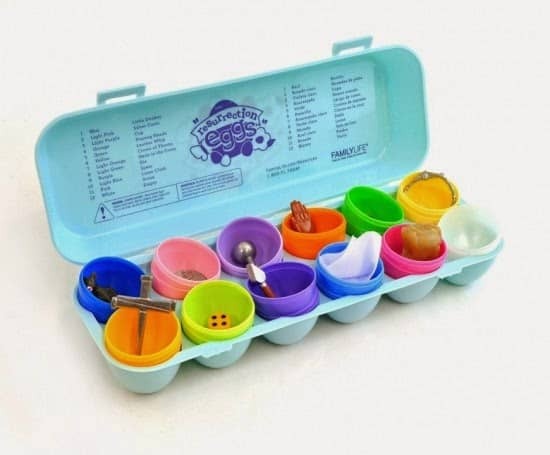 Another idea is to use resurrection eggs, which especially appeal to younger children. I found several tutorials online to make your own. 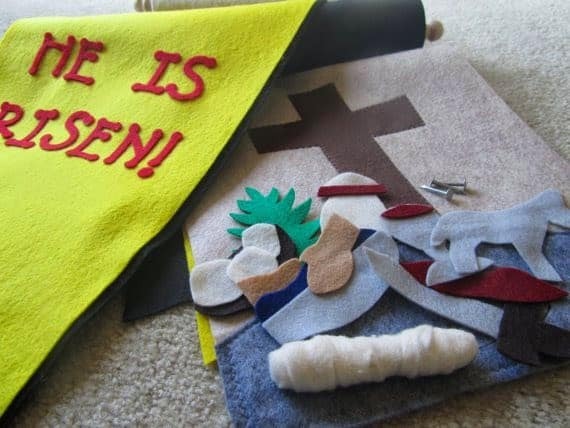 My friend Jennifer also shared about this amazing felt Easter advent banner that their family uses, and I just love it! You can use the free instructions to make your own, or you can buy the complete DIY kit here at the heart FELT truths Etsy shop. In addition to the above ideas, we’re also planning to go through these devotional readings during our family worship time to help us focus on the most important aspects of Jesus’ life, death, and resurrection. How are you planning to celebrate? Do you have any special traditions that you look forward to each year? I’d love to hear your ideas! So many great ideas. I love the colorful fingerprint cross. Pinned. Great round up of meaningful ideas! Thanks for sharing with Party in Your PJs! I love these ideas. It’s so nice to see things to do with your family. Thank you! The Advent Banner has become one of our favorite traditions. My kids love it. We do a Bible scavenger hunt with candy and other prizes at the end. I use biblegateway.com to look up verses to match common objects. Have them fill in the blank to figure out the next clue. For example "He prepares a ——- before me …." (table Psalm 23). At the table the next clue might be "the —— of the spirit is love, joy, peace…… (fruit in Galatians). What a neat idea–thank you so much for sharing! We do"'Easter in a basket." I use an empty basket with a handle and place in the middle of our kitchen table. At dinner beginning on Palm Sunday, we place palms (we get real ones at church/can make some out of construction paper) in the basket and read from scripture about the Triumphal Entry. At dinner on Monday-put bottle of perfume in basket & read the story of the woman who poured the perfume on Jesus' head. Tuesday's dinner-put small bowl & wash cloth in basket & read about how Jesus washed the disciples' feet. Wednesday's dinner-put 30 silver coins in basket & read about how Judas betrayed Jesus for 30 pieces of silver. Thursday's dinner-put a wine glass & bread in basket and read about the last supper. Friday's dinner-put a cross or crown or 3 nails in the basket and read the story of Jesus' death. Early Saturday, cover the basket with a black cloth to symbolize Jesus' time in the tomb & read Psalms 22. Early Sunday, remove the cloth & all items then add a real/fake flower to the basket & read about Jesus' resurrection! I love your "Easter in a basket" idea, Deidre! That sounds like such a meaningful tradition–thank you so much for sharing it!